Huawei’s subsidiary Honor like we all know is no more just an online exclusive brand. While it started off being a firm that churns out cheaper variants of Huawei, over the last couple of years it has stepped up the game to bring in some really good offerings having a flagship of its own which has done decently well especially in markets like India and to a certain extent in the west as well. Nothing really extraordinary in its design, the Honor 8 Pro isn’t bad in any way. Looks premium, glossy all over and as slippery as it can get. It reminds us of the yesteryear’s Samsung Galaxy S3 from the front, with some elongations. That is because the 8 Pro comes with a 5.7″ QHD (2K) screen packing 1440*2560 pixels, coming with an LTPS LCD display that is protected by Corning’s Gorilla Glass 3. Onto the back is the dual camera set up with the fingerprint scanner. It’s as thin as just 7mm and weighs in around 185gms, hence on the heavier sider. Under the hood, it packs a HiSilicon Kirin 960 Octa-core processor clocked at 2.4GHz accompanied by a Mali G71 GPU. Packing 6 gigs of LPDDR4 RAM, the 8 Pro comes with a whooping 128GB of internal memory and to sweeten the deal, it can be expanded upto 256GB via microSD slot which also supports dual SIM cards. The phone runs on EMUI 5.1 that is built off of Android Nougat, bringing in tons of new features. 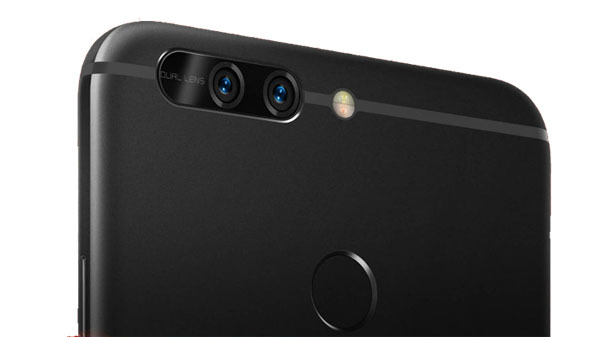 On the main focus area, the cameras, Honor 8 Pro has a pair of 12MP sensors on the back with f/2.2 aperture. One sensor shoots images in RGB while the other shoots in monochrome, together aimed at producing some stunning output. It also has a dual tone LED flash and also supports 4K recording. The front shooter is an 8MP one with f/2.0 aperture. No OIS support on either. The phone has a massive 4000 mAh battery that can be charged via a USB Type-C port and this is much welcome considering its a battery hogging QHD screen on the display. The phone also has accelerometer, gyro, proximity and compass sensors and also has a 3.5mm audio jack! 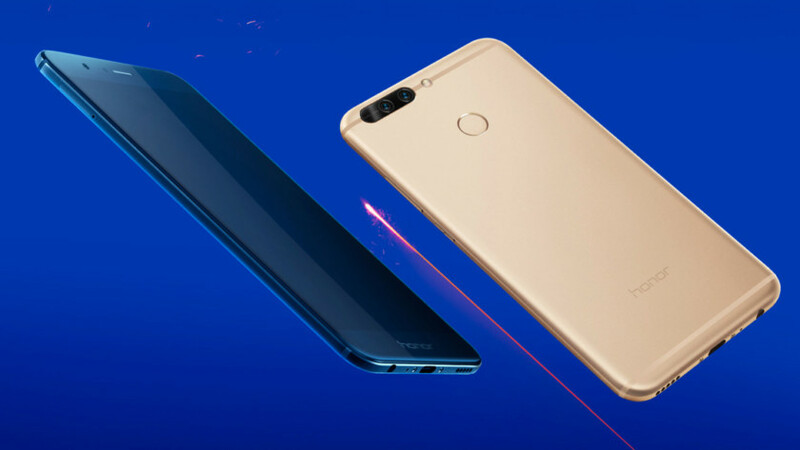 Coming at a price of 29,999 INR and sold exclusively on Amazon India and offered in Navy Blue, Platinum Gold, and Midnight Black colors, the Honor 8 Pro competes with the likes of OnePlus 5 and the rumored Xiaomi Mi 6. With things like QHD screen, 4000 mAh battery, the expandable memory, it does has some differentiators apart from the all new EMUI 5.1 that has tons of cool features. While the other segments of competition have gone for portrait mode and zooming from the dual camera setups, Honor has gone in for the monochrome kinda set up that it has been mastering over the last few phones. This is going to be for sure, a very interesting battle of the affordable flagships! 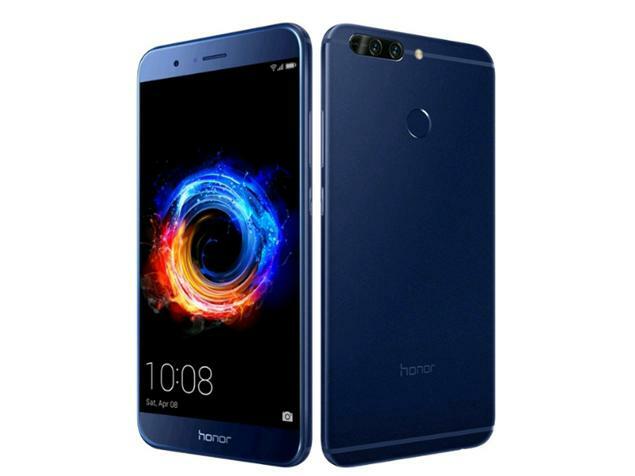 Honor had priced its phones higher earlier but now seems to get back on the saddle of aggressive pricing, which is good for the consumers. We will bring you more details as we get our hands on the device.